Industrial Design (ID) is the heart and brain of Product Development. ID is the synthesis between technology and human interaction, achieved when a product’s Form is guided by its Function. A strong product design invokes an emotional response from the user that creates a lasting impression. Capitalizing on this impression to fit every need of its intended user is what uniquely drives Industrial Design. 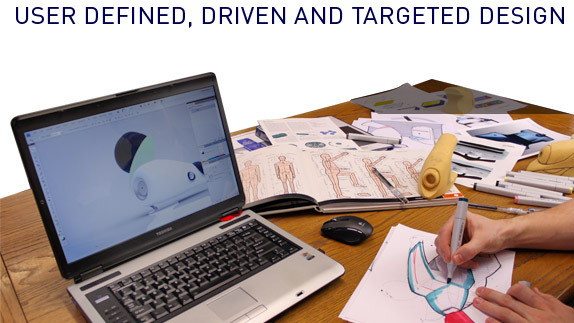 R2FACT blends the Industrial Design stages into Concept Development, Ergonomics, Form Development, User Testing, and Branding into all aspects of a product’s development to create products that are user defined, driven, and targeted.